On April 22, a suicide bomber, who government sources claimed was an Islamic State member, blew up a voting registration center in a neighborhood predominantly occupied by Hazara ethnic residents in the westside of Kabul. About 70 people, including school kids, were killed and more than a hundred were injured, the Afghan Ministry of Interior has confirmed. Pictures from the scene that appeared on social media were too horrifying to view. This was not the first time suicide bombings targeted the Hazara community in Kabul. A suicide bomber hit them a few weeks ago when they gathered to commemorate the death anniversary of their late leader Abdul Ali Mazari. The Taliban killed Mazari when he surrendered to them in 1995. It is believed that he was thrown off a helicopter. Insurgents, under the guises of the Taliban or ISIS, prey on Hazara ethnic group on interstate highways. The Taliban members often come out on the highways to stop buses and look for Hazara travelers. If found, they are executed on the spot. Hazaras, a minority ethnic group, have been facing institutional discrimination throughout the entire Afghan history. They had been the primary targets of brutal Afghan kings and past rulers. Not long time ago, in the 1990s, the Taliban committed atrocities against them in central and northern parts of Afghanistan, albeit Hazara fighters were also accused of atrocities during the same civil war. Despite being discriminated and targeted, the Hazara community has shown unprecedented resilience in the face of oppression and backwardness that deserves admiration. Undeniably, they have been the pioneers of social change in Afghanistan. Just visiting their neighborhoods in Kabul, passersby can see the difference. They have transformed their lifestyle and standard of living with little opportunities that have come to their ways. They have also been the leading group to put democracy into practice in the country by turning out in large numbers to participate in elections and peaceful civil society-led demonstrations. Thus, this community should not only be protected but also promoted as a communal role model of social transformation in Afghanistan. I am not an ethnic Hazara to be engaged in self-fulfilling prophecy with ethnonationalism biases to make such an advocacy appeal. But it is hard to deny that this community has been the shining star in the dark sky of Afghanistan. In July 2016, they took to the streets to protest against Afghan President Ashraf Ghani’s decision to reroute TUTAP (Turkmenistan, Uzbekistan, Tajikistan, Afghanistan and Pakistan), an energy transmission project that was initially planned to go through central Afghanistan to Pakistan. The community believed that the change of plan was political, aiming to bypass some of the most underdeveloped areas predominantly occupied by Hazara communities. They had announced, days before, their plan of marching towards the Presidential Palace. In response, the government would go on to block their marching routes with containers and issue warnings for potential suicide bombings. In the face of uncertainty, the Hazaras went on to stage their demonstration, and they were hit by multiple suicide bombings that left scores of them dead and injured. Some protestors accused Ghani’s government of “abetting” the terrorists and denying them of security protection. In the aftermath of the bombings, Ghani’s government pointed the finger of blame at organizers of the demonstration, while diverting attention from its negligence in providing basic security to Afghans to allow them to practice their constitutional rights. Demonstrators, mixed with crowds of women and men, were pictured handing roses to security forces. They had also organized a team to collect waste and clean the roads as they continued marching. Such social gestures are uncommon in Afghanistan. This was despite the bad experience they had during their previous demonstration. In November 2015, they staged a march carrying bodies of victims beheaded by the insurgents. A little girl named Tabassum was among them. Their march headed towards the Presidential Palace to demand justice for the victims belonging to the Hazara community. Upon reaching the walls of the Palace, the presidential guards met them with bullets that left casualties. Despite all the challenges, the Hazara community has been the champion of civil movements in Afghanistan. They were the first group to stage some of the most organized civil protests by displaying how constitutional rights are practiced even in the face of terror and government negligence. Some civil society activists claim that lately, the government has ignored Hazaras and has focused exclusively on the Taliban. While peace efforts have to remain constant, they should not be politicized to favor one group over another in a heterogeneous country as Afghanistan is. Since the peace offer made to the Taliban and the success of the Tashkent Conference, Ghani has seemingly gone south, predominantly populated by people of his tribe, the Pashtuns. He has already made two trips to Paktia and Khost, where he inaugurated infrastructure projects and demanded participation in the upcoming elections. While visiting those provinces, where the Taliban has strong footing, he also called for the Taliban’s participation in the elections, albeit the movement rejected his call. On the contrary, Ghani has failed to protect a community that is more than enthusiastic to practice their constitutional rights by turning out in large numbers at voter registration centers. While one of the voter registration centers in a Hazara neighborhood of Kabul was hit on Sunday, another was attacked a few days ago in Ghor, a province with Hazara majority population. If the National Unity Government is failing to protect civilians in the major cities of the country, how can they ensure the security of the voters in the areas under the Taliban control? Ignoring the fact that the Hazara minority group is the leading social force putting democracy into practice, disregarding their voices for social justice, and tacitly leaving them preyed on by terrorists are some of the discriminatory practices that the Hazaras are facing in the 21st century. 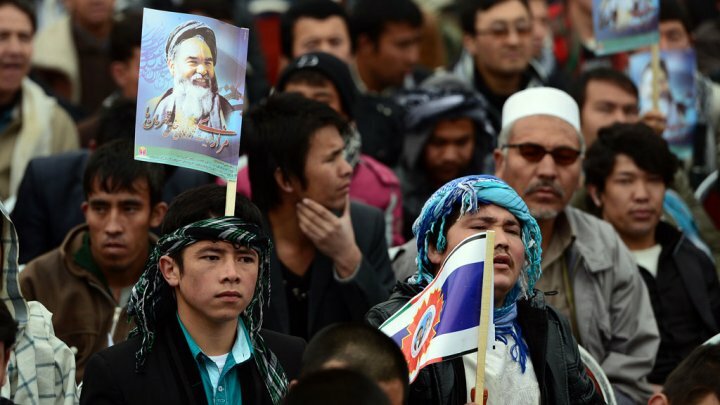 The Afghan National Unity Government, whether failing to protect or tacitly, leaves the Hazara community under attack. 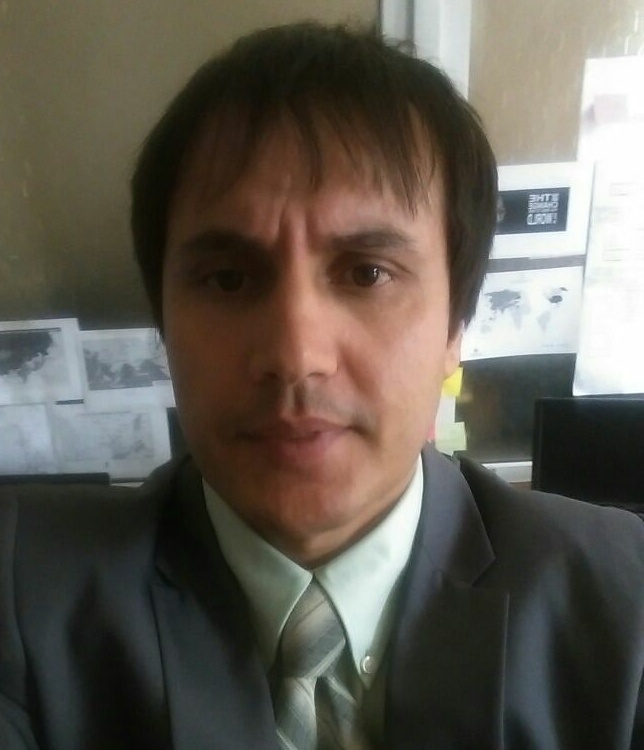 The international community, which has representation in Afghanistan, has a moral obligation to protect these pioneers of social transformation. Attacks against them are not only a new form of persecution against a minority group but also an assault against a dying political efficacy that needs life support. If democracy is left dying in Afghanistan, its alternative is a civil war among ethnic groups that would take the country back to the Stone Age.